Nectar Collectors, Honey Straws, what’s the deal with dab pens canada? Short answer: They are on in the same. The industry hasn’t quite decided which is the more popular term yet. But these things use a ceramic heating arm to burn through extracts with ease. The heating arm is surrounded by another layer of unheated porcelain and a gap of air that contains the heat. This apparatus is attached to a casing that holds the battery and a mouthpiece for the device (dab pens Canada). The honey straw element is on the opposite end of where the mouthpiece is so you literally use the device the way you would a straw (sucking from the bottom up). However, instead of slurping up a Roy Rogers, with a honey straw, you’re sipping from the glorious rainbow of choices in available extracts. The idea is to place the “straw” directly into the concentrate and take away. Using this method, you can literally vacuum up little bits of leftover shatter. You can also take it easy, and happily smash massive dabs with very little effort. No e-nails, no butane torches are necessary. It’s almost too easy cause I ended up getting very shredded testing my honey straw. The tokes are enormous and seemingly endless. Toke after toke with total ease. Not to mention flavour really comes through. Especially with that heat setting in the low to medium zones. My only issue with some of these cheaper honey straws is that once you dip in, the residue of the extract gets richly embedded into the ceramic heating arm. It’s a curse and a blessing… On one hand, you can take the toke with you and toke it for up to or even more than a dozen times. The flip side is if you just want to taste little bits of your shatter collection, you have to do a lot of toking to clear each strain from the straw. But a high-end dab straw like the LINX Ares will burn right through any residual residue each hit. You know when you have 6 kinds of shatter and you want to recreate that feeling you get when you are eating at an all-you-can-eat Indian food restaurant? OMG, NAAN BREAD! It’s too good! It’s kind of like that. 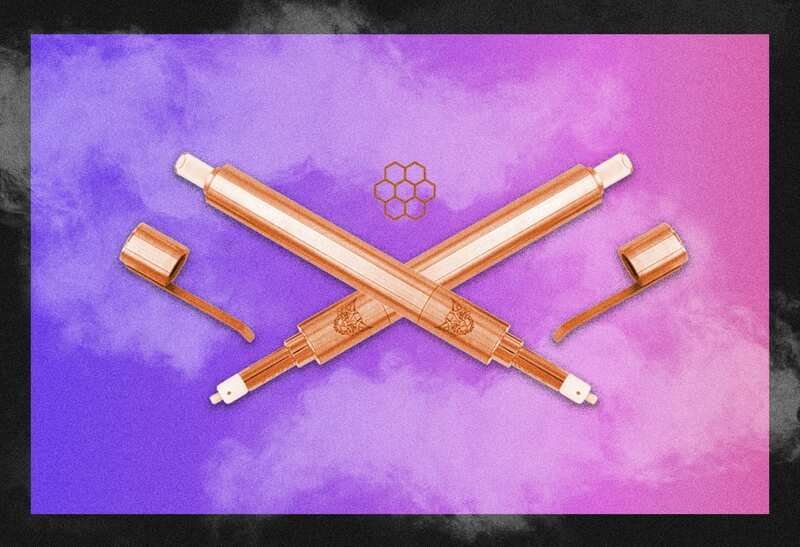 In reality, the honey straw is a revolution for the at-home or on-the-go dabber, who appreciates something very basic (cuz you basic), without sacrificing taste (which makes this practice essentially the Coles Notes of dab pens Canada). These guys take up way less space too. I just remembered that. And if you’re just someone looking for the simplest way to get acquainted with concentrates, because traditional dab rigs seem too intense, then this one’s for you. These things are so damn sick.